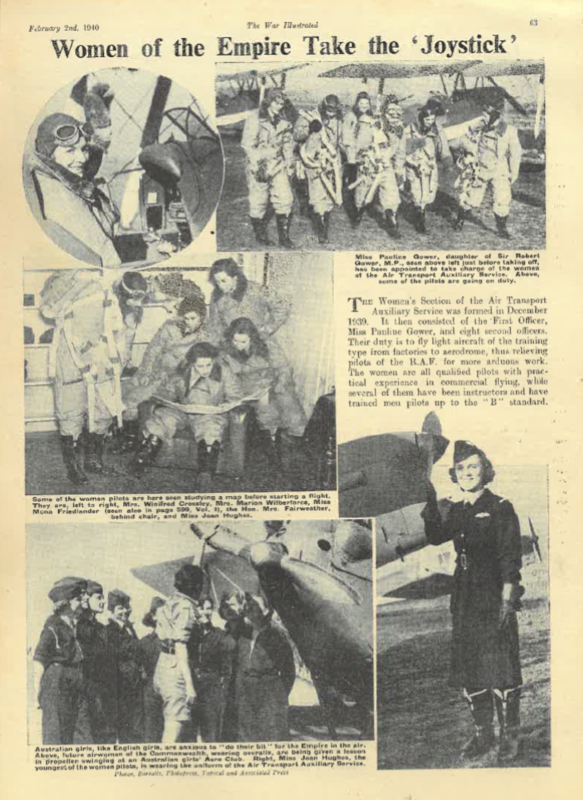 Scanned from a copy of ‘The War Illustrated’ brought in by one of the Kenley Revival Project volunteers, the article has a number or different pictures showing some of the women who were a part of the ATA (Air Transport Auxiliary). The article talks about the duties these ladies had, transporting light aircrafts from factories to aerodromes, this way they allowed the male pilots to carry out more ‘arduous’ work. These pictures give an insight to the group of women that were the ‘first eight’ along with Pauline Gower, all qualified pilots, being given the chance to do something they enjoy for the good of the country.